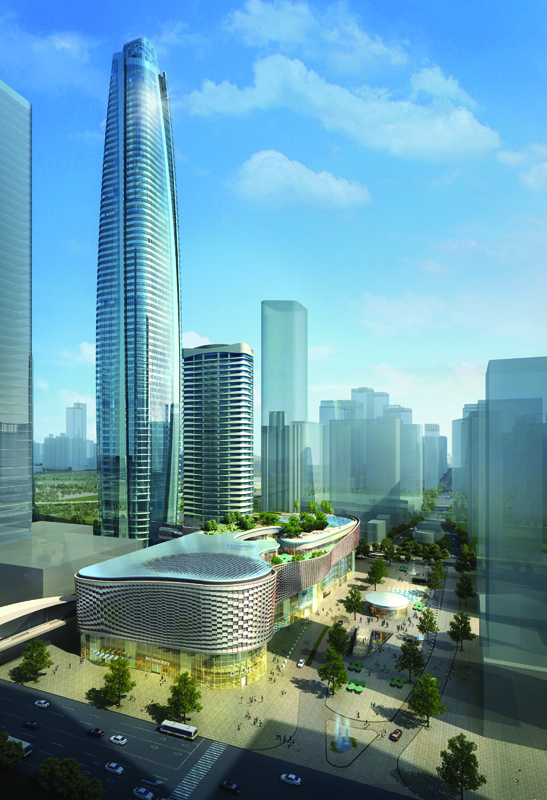 • Design WSP | Parsons Brinckerhoff;	WSP Hong Kong Ltd.
Amid the rapid development of Shenzhen’s Zhongxin District, Shenzhen Center is located near the Great China International Exchange Square, along a distinct row of skyscrapers that define the central business district. 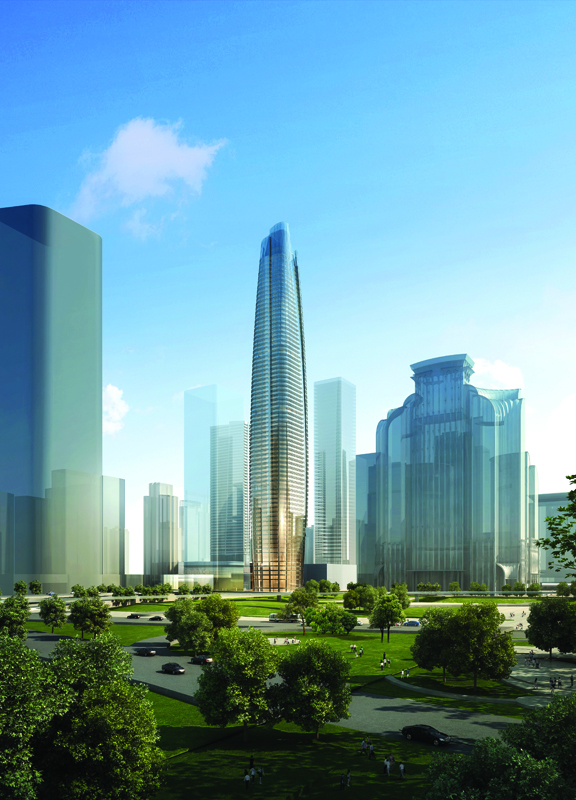 The tower, with its columnar outline and layered form, represents the high-quality urban visage of Shenzhen, China’s design capital. 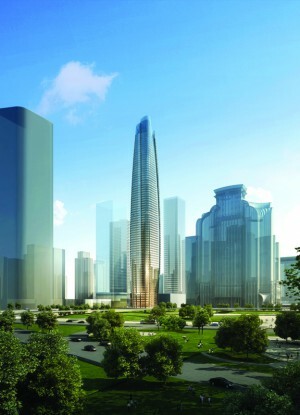 The tower will be a prominent visual landmark. Fronting the Crystal Island development, it will be visible from the Civic Centre and Opera House. The exterior is defined by four overlapping façade screens, which are expressed at the pinnacle as they cut away to reveal an occupied dome. This form was inspired by the city’s flower, the bougainvillea. A subtle tapering effect provides both a chiseled profile and an opportunity to maximize the office footprint strategically at higher office zones while still offering appropriately sized residential units. 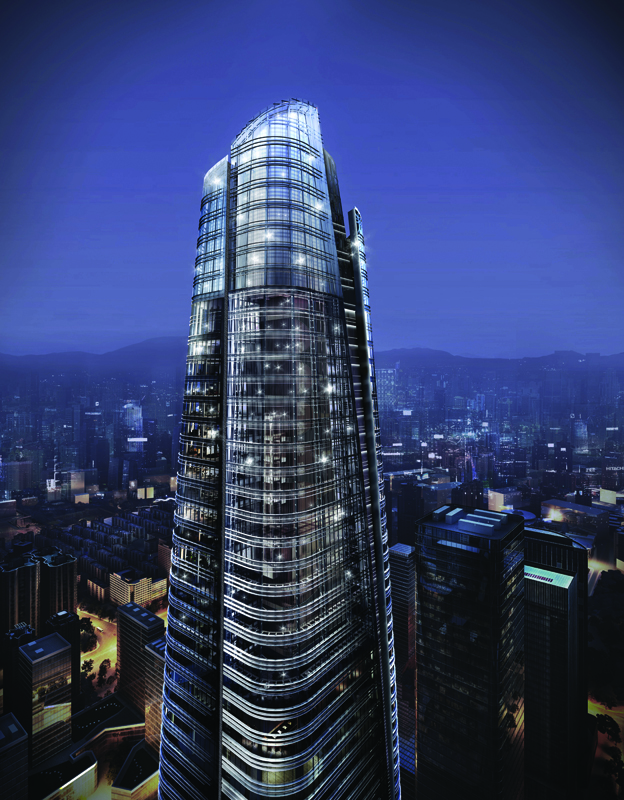 As the commanding core of a high-end complex, the tower takes cues from its cultural and geographical context with a fluid design inspired by nature. 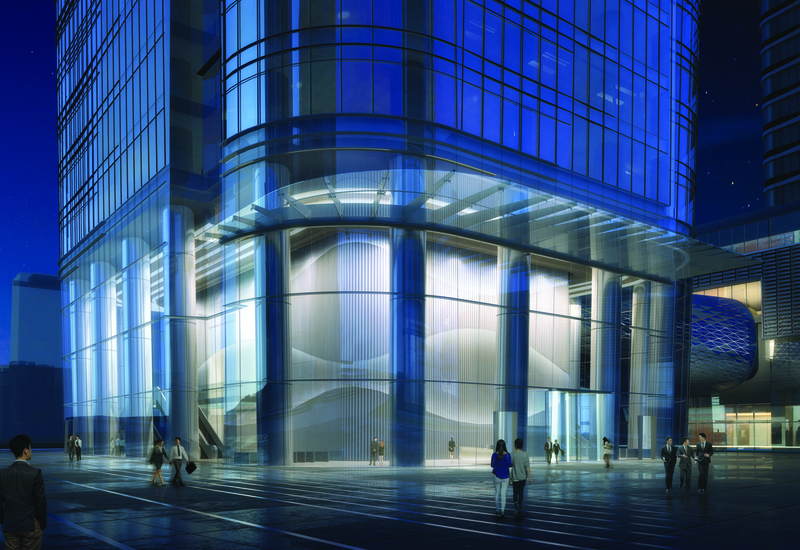 At the base, a retail podium forms the border of a vibrant public square, and is wrapped by a dynamic ribbon of illuminated panels, while a smaller residential tower of 54 floors is perched above, drawing benefits from an extensive garden on the top of the podium’s roof. Through the basement levels, the residential and office towers are connected with nearby subway stations, which are also linked with the public square, making the area a vital center for the greater district. Chinese landscapes, as well as Shenzhen’s rich setting between the undulating mountains and the sea, are references for a design that aims to be engaging and well connected.